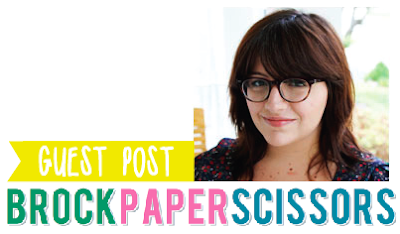 Hi, I'm Joanna from over at Brock Paper Scissors. I first got into reading blogs a couple of years ago (sewing and cooking, then when I got preggo with Lola, baby blogs), but it wasn't until around June of this year that I decided to start blogging myself. I've never been good about keeping up with baby books, so I thought this would be a good way to document our daily happenings. So far, I've really enjoyed it! Pick Nico up from school at 12:15p.m. I have plenty of weird quirks and habits, lol! Probably the one that annoys the Hubs the most, though, is that I have to check the closet and under the bed before I can go to sleep (not even joking). Gotta check for murderers, yo! 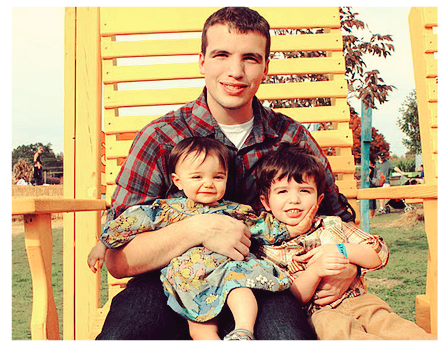 The highlight of 2011 has probably been our move from San Diego to Virginia (my husband, Dan, is in the Navy). While I loved the weather in SD, VA just feels more like home (Texas) to me. This pic is probably one of my favorites! It's of the 3 people I love most in this world! I have a similar quirk, I check my house for uninvited guests when I get home! Make sure you pop over to her delightful blog and say hello. Virginia is one of the most lovely places in the good ol' u.s. of a to live in.. I don't blame her at all for loving it. I miss it. Aw what a lovely interview, and that picture is too cute for words! Isn't it just the cutest picture! Joanna's little family are cutiepies!